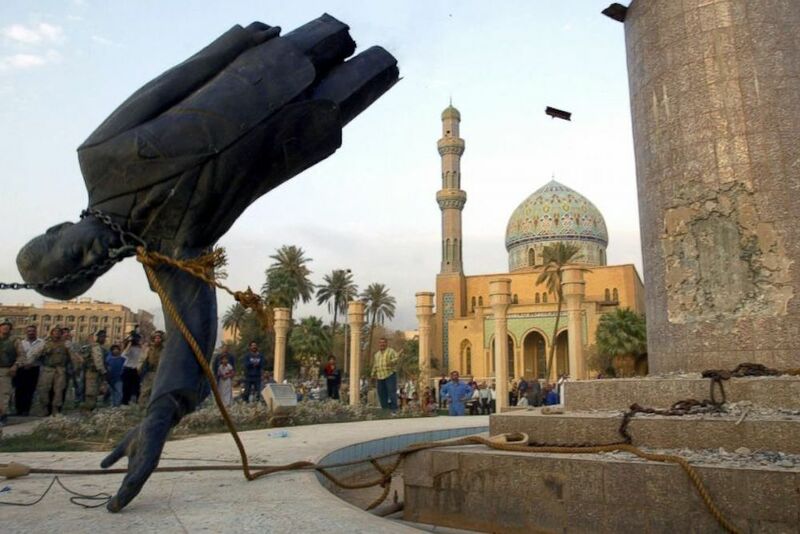 On April 9th, 2003, the great stone statue of Saddam Hussein watching over Baghdad fell, marking the deposition of a dictator who had held the nation in chains for decades. Within only 3 weeks, a US-led operation codenamed “Iraqi Freedom” had succeeded in overthrowing Hussein’s Ba’athist government. The Butcher of Baghdad had been removed from his throne of terror – soon, he would be captured and made to stand for the genocidal campaigns he conducted against his own people. On board the USS Abraham Lincoln, George Bush spoke to the American people of the victory in Iraq as a banner reading “Mission Accomplished” hung behind him. It was to be a new era for Iraq – an age in which free enterprise would allow the nation to emerge onto the global stage as a force for democracy in the Middle East. All that was left was to silence the few remaining pockets of resistance and assist Iraq in creating a democratic government. As we know today, things didn’t quite turn out as intended. Over the course of the next fifteen years, nearly 200,000 Iraqi civilians were killed in armed conflict. Today, 4.4 million Iraqis are internally displaced, and 70 percent of the nation lacks access to clean water. Some children have lived their entire lives in the shadow of war. The nation’s innocent have suffered more in this new era than they ever had under Hussein. In the miasma of chaos and instability enveloping Iraq, ISIS rose, conquering vast swaths of territory and committing atrocities against the populace. Even as the new government beats the Islamic State back, Kurds in the north are seizing the opportunity to battle for statehood, causing more internal strife. Despite his evils, Hussein brought something to Iraq that the new democratic regime has continually fallen short of – stability. The brand of autocratic nationalism that he promoted allowed him to stomp out his opposition with little effort. He placed a greater focus upon Iraq’s military than any leader prior, allowing him to retain a deadly loyalist base. Had he remained in power, it is quite plausible that ISIS would have never come into existence in Iraq. In fact, many of Hussein’s top advisors and officers survived to assist the Islamic State’s insurgency against the Iraqi government. Looking around the Middle East today, one may wonder if the Arab Spring was truly worth it. The men who reigned were, in many ways, plainly evil – but their evil was controlled. Uncertain chaos can be more destructive than certain oppression. The fall of Mubarak saw the rise of ISIS in Egypt. The fall of Gaddafi saw the eruption of a four-way civil war in Libya. The fall of Saleh saw Yemen on the verge of becoming a failed state, its new president exiling himself after Houthi rebels captured the capital. The Arab Winter that followed has brought unparalleled violence to the region. Mao famously stated that “A revolution is not a dinner party, or writing an essay, or painting a picture, or doing embroidery; it cannot be so refined, so leisurely and gentle, so temperate, kind, courteous, restrained and magnanimous.” Perhaps the years of uncertainty and violence the Middle East has experienced were inevitable – a period of natural stabilization after a severe paradigm shift. The question now is whether or not time will allow these nations to heal. As the power of ISIS wanes, will democratic regimes be able to consolidate their power? ISIS rose where others fell. The Taliban resurged as soon as US troops began to withdraw, and are reportedly beginning to use night-vision goggles to assault Afghan security forces under the veil of darkness. Terrorist groups emerge in new forms just as soon as they are defeated. Whatever the answer proves to be, one pattern is obvious – foreign intervention, especially on behalf of the west, destabilizes nations much more than homegrown revolutions do. 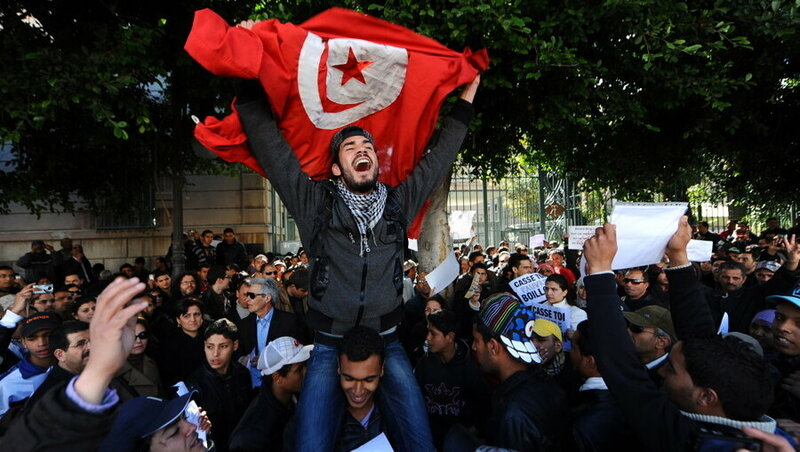 Tunisia, the only nation in the Arab Spring to truly democratize without further conflict, did so with little to no foreign influence. Nearly all of the regime changes in the Middle East have seen the rest of the world use rebels and dictators as their pawns. NATO air strikes devastated Gaddafi’s military and may have turned the tide of the war. Were it not for Russia’s arms deals with Syria, Assad may have fallen long ago. And of course, had the US coalition not invaded Iraq in fear of WMDs, there is no indication that Saddam’s government would have lost control. Evidence seems to suggest that the only fair solution is to leave these nations and the revolutions that they experience to play out on their own. If anyone knows what is best for a country, it is the people who have spent their lives there. Forcing these nations to undergo shock therapy in the form of rapid democratization may be well-intended, but this unnatural shift has almost never resulted in anything but more unrest. In the future, the nations of the world should quit deciding the future of the Arab world for it. Short-term rewards often end in long-term consequences. Our morality implores us to free nations from the oppression of dictators, but we often fail to consider what must be done in the years following. The Iraq War may have seemed like a great idea at the time – rid a nation of a dictator who has killed thousands of his own people and may have access to WMDs and replace his regime with a democratic government. It was to be quite the boon for the Iraqi people. We could never have predicted the decade of conflict that followed. Regardless of how great it may sound in theory to free nations across the world from the grips of autocracy, we cannot assume that our good intentions will always bring positive results. Respecting the autonomy of these nations, whether in revolution or autocracy, may finally bring an end to this era of violence.